XK-6, Digital Synth from E-MU. 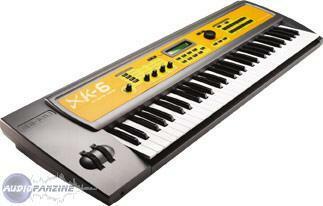 The XK-6 has some really good sounds like the synth leads and pads. 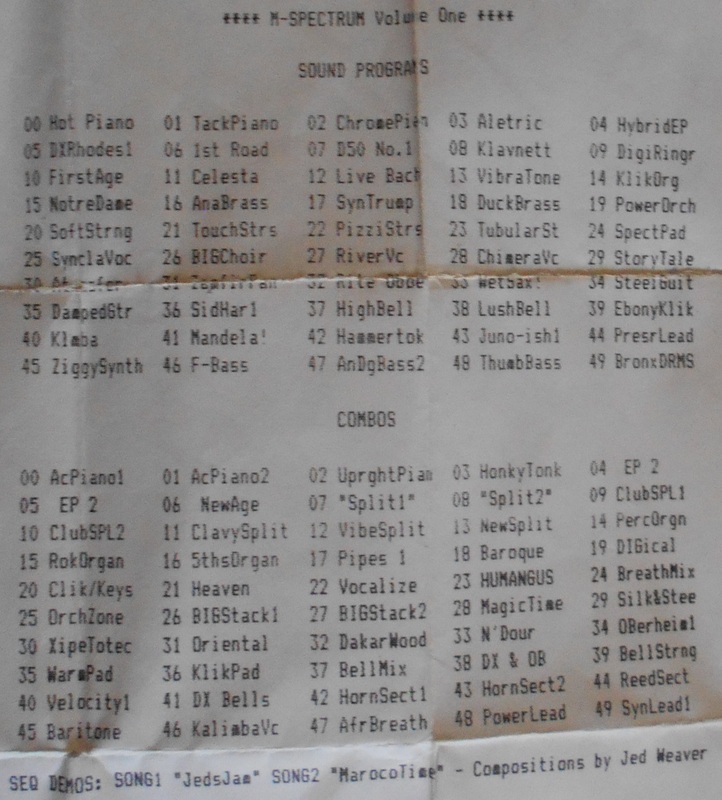 These are the sounds that I use the most with it, but it also has some really good basses and analog sounds as well. You can figure out how to use this keyboard after using it for about 5 minutes because it is so simple and user friendly. I purchased it used so I did not have a manual to go by, but I did not need it at all. 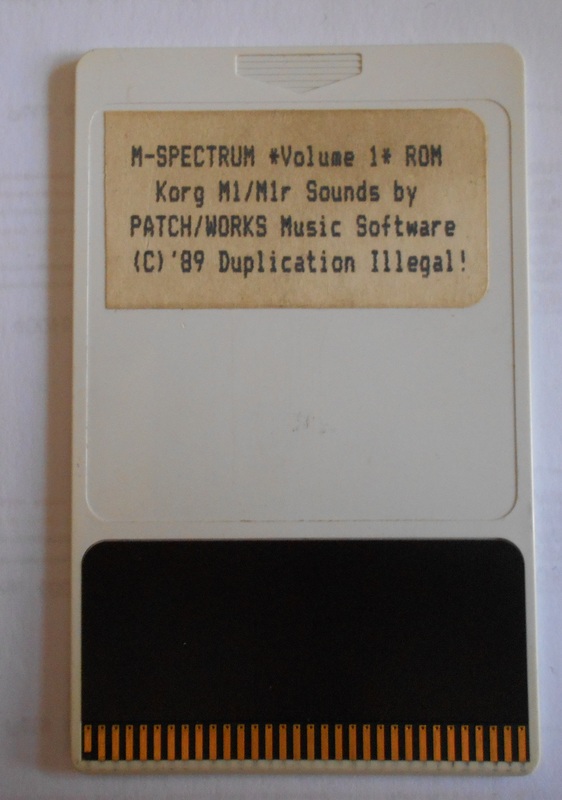 The XK-6 comes with 32 MB worth of sounds but you can easily purchase an upgrade card to take it to 128 MB if you want to invest a little more money into it. But for me the 32 MB was plenty enough. There are over 1000 presets on this synth depending on how much RAM you go with; if you install 512 MB you will get almost 2000 presets. There are plenty of filters as well, and they are all easy to work with and tweak to your liking. There are many effects that you will find yourself using frequently with this keyboard because some of the sounds are very dry, well at least to me they were so I had to really dig in to the effects processing to get the sounds that I was looking for. There are over 25 different types of reverb alone; I loved all of the flange effects too. Sounds are amazing, and you can even expand out and upgrade the board with sounds from other systems. This synth is great for all types of music, it was made in 2001-2002 and I have been using it every since it came out. But you can buy one now for a very affordable low price. This is one of the best synths that you can purchase because of the sounds and overall expansion capabilities. 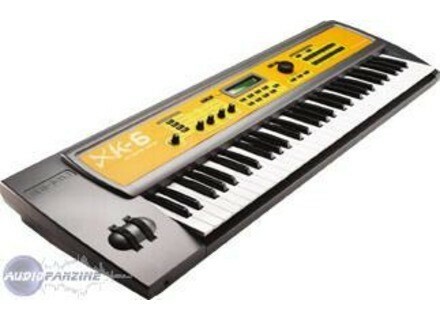 You can use some of the E-mu sound with this synth and even add some X Lead or XL-7 sounds too! I use this synth for 4 months and I start the take over small small! The edition of the sounds is correct (except for the small screen) there is a matrix (pav of 16 buttons that Grente also the chord triggers) that can quickly select trs Miss menu. The manual is in English for the xk-6 by I against a manual in French for the expanders of the same family and it helps me a lot. Also I have the rom xlead 2 + beat the garden and the bonus rom station mp7 dernire that I see this by telling me to rap and it all flows! well no! you can make with this card electro and I can tell you that it has the EHJV! I love the lead synth pads and some bass! The reasons for hyper arpges are excellent, they can CRER beautiful sonic textures with a few well-sr modulations. Short! this synth for me is excellent! Everything is srigraphi: there is an array of versatile left-notch, the modal switches under the screen, finally notched a wheel and other switches on the right. The shipping is fast if it goes through the shortcuts and knobs on the left are the minimum synthse subtractive type. 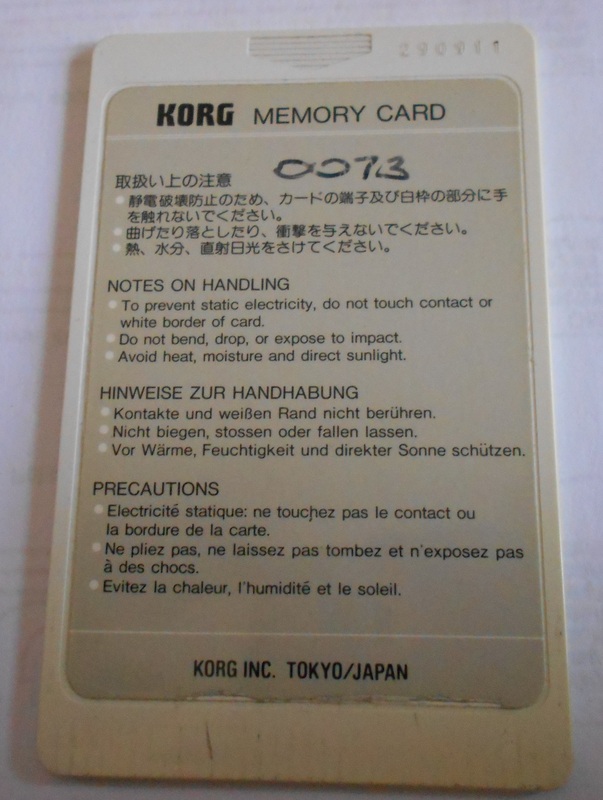 The manual is large trs, Retailer and pdagogique. This is oriented electro synth. Many wave forms such as "hit" in tmoignent. In contrast, the waveform loops are an excellent starting point for everything we want. But nothing that is imitative or pseudo noise. No way. Personally, I use the XK6 in a pop-rock band / rock fm the middle of a diverse and varied set (DXII, Station A, M3R, MPC ...). It enriches the palette of sounds well and passes can not be better in the mix. This synth is really used for anything other than that which he does destiny. With work and imagination, it produces good leads and trs trs beautiful pads, warm, powerful or LGERS and Arians: Zplane filters are for many. As with any synthesis of research and an ide clear that we want to make a good instrument trs. The controls and menus are enough to get a quick rsultat. Live, better will integrate all of the same set in a gr squenceur, even what to call the many sounds with messages bank / program change. However, it may be a good keyboard matre in multiplayer mode. 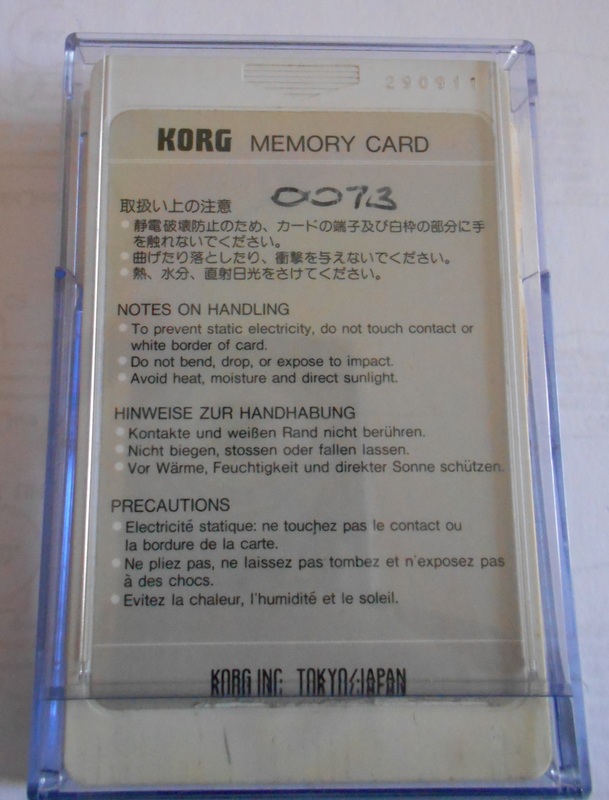 I use it recently: I just acqurir on Ebay. But I'm used to romplers amliors and synths of all kinds over the past twenty years. EMU does not fail with this reputable his MODEL. Some waves are redundant and appear "cheap" at first. Other foundations are stable and rich in harmonics. Even in some limited signals prdilection the crushing that you can do will give you a personal rsultat trs. As always, just get started. This is a "real" synthtiseur, cheap and well made. I plan not only to preserve it, but to add the extensions Pipelines Limited. Manual available in French for all machines with the motor Proteus 2000. It takes a year minimum to fully exploit the potential of the system (the software speeds up the possibility of creation). As discussed below, this synth sounds kind of good at low, medium and collected (see below). It is predestined to setup an electro-techno-drum 'n Bass. Be careful never to listen to solo, always trying to complement. This machine is waiting to be used for what it does. The filter section is captivating. Thanks to its highly modular system Patchcord, you have to take advantage of the best of this bike (as each element of a homestudio elsewhere but here c quite the case). This analysis was written after four years of use and intensive +!